Gary Zeune has instructed Strategy Formulation and Implementation in the Executive MBA Program and Accounting and Honors Finance at The Ohio State University. He is also a member of the Education Executive Council and is past chairman of the Education Marketing and Public Relations Committees of The Ohio Society of CPAs. His other memberships include: the American Institute of CPAs, and the Regulation of Public Offerings Committee of the Ohio Division of Securities. 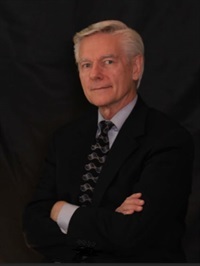 Prior to forming his consulting practice in 1986, Mr. Zeune was an Assistant Vice President of Corporate Finance at The Ohio Company, a Columbus, Ohio investment banking firm. He also spent more than five years in Treasury and Finance at Wendy's International, where he was responsible for mergers and acquisitions, financial and SEC reporting, and corporate finance. He was on the audit staff of Ernst & Ernst from 1973 to 1977; and taught accounting at Ohio University from 1970 to 1973, where he received his bachelors in mathematics and masters in accounting, with honors.